Editions of Handel’s music proliferated after the composer’s death. Samuel Arnold was the first person to collect all of Handel’s then-known music and publish it. As a composer Arnold was best known for his <i>Psalms of David</i> (1791), several oratorios, and a few operas. He was a harpsichordist at Covent Garden for many years. In 1793 he was appointed organist of Westminster Abbey, where he was buried in 1802. The oratorio was structured in three parts: (1) music narrating highpoints from the prophecy of Isaiah to the early life of Jesus; (2) Jesus's death and resurrection; and (3) the sins and judgment of mankind. Each of these can be parsed into several scenes. Handel's choruses serve as a good guide to the many segments of the work. 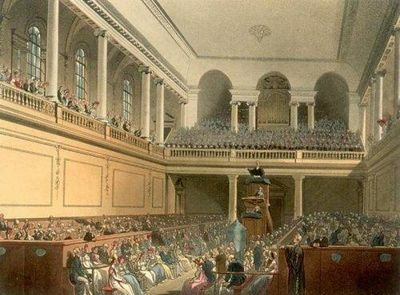 The Foundling Hospital performances of Messiah, which began in May 1749, were perhaps the most celebrated of all presentations given during Handel’s lifetime. Like the Dublin performances, they were benefit concerts. Unlike the majority of Dublin concerts, they enjoyed Handel’s direct participation at the organ. Even after he was beset by blindness in 1752, the composer continued to provide an organ concerto. Eleven such performances, most associated with the feast of Ascension (forty days after Easter) are clearly documented. Messiah had a slightly different identity in Oxford, where it was performed in April 1749 at the Radcliffe Camera. It was also given complete performances in the Sheldonian Theatre as part of the commemoration festivities of July 1754 and July 1759. Starting in 1755, various parts of the work were performed separately for subscription concerts in the Holywell Music Room. One memorial performance was given at Senate House, Cambridge, under John Randall (later a music publisher) in May 1759.